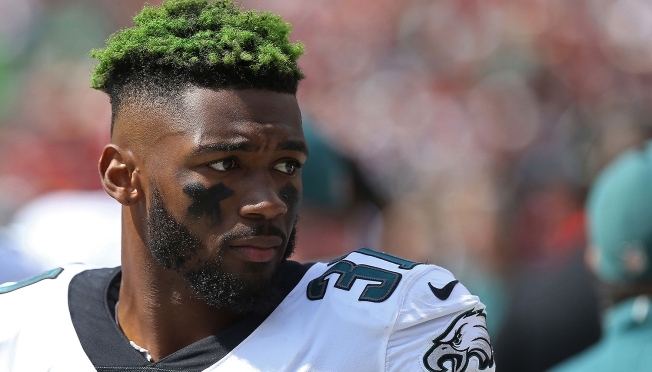 Eagles cornerback Jalen Mills was arrested outside a Washington, D.C., nightclub early Saturday morning following a fight with Washington Wizards player Devin Robinson, according to a police report. Mills and Robinson were in the middle of a verbal argument that turned into a fight on the sidewalk next to the Opera Night Club shortly before 3 a.m., according to an arrest report by the Metropolitan Police Department. Mills was arrested for disorderly affray, which is a charge for public fighting. Robinson was also arrested for disorderly affray and taken to Sibley Hospital for treatment of his injuries. The Eagles said they were aware of the incident and were continuing to gather more information. The Wizards said they were "disappointed" in Robinson's actions. "We will not extend him a qualifying offer for the 2019-20 season," the team said in a statement.